Today’s raceday at Warwick marks the launch of their latest fundraising challenge. For three days in early August (6th- 8th) the team at Warwick Racecourse, along with Simon Cooper from Weatherbys, will run around all 26 racecourses in Ireland, covering almost 40 miles in just 60 hours. The group is putting itself through this punishing schedule in support of Racing Welfare – the charity that offers professional guidance and practical help to stud, stable and support staff in the sport. “Jane Hedley, Tommy Williams, Simon Cooper (Director of the Studbook at Weatherbys) and I will embark on a mission to run around every racetrack in Ireland in just three days. We will be starting at Fairyhouse racecourse and finishing at Leopardstown, just in time for the Ballyroan Stakes. 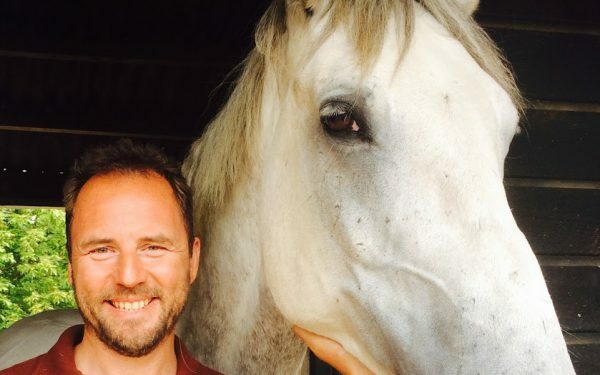 “We are planning to undertake this as an officially endorsed fundraising mission for Racing Welfare, and have called our charity jaunt: Racing WelfEIRE. I did a similar thing in New Zealand in the company of Simon Cooper, who was working for NZ Thoroughbred racing at the time, where we covered 56 tracks in five days across both islands. In preparation, Andre is running this year’s London marathon. Day 1 (6th August) Start at Fairyhouse and finish at Down Royal (8 tracks). Day 2 (7th August) Start at Sligo and finish at Killarney (9 tracks). Day 3 (8th August) Start at Cork and finish at Leopardstown (9 tracks). The total running distance is 284 furlongs (35.5 miles) and the total travel distance is 1700km (1062 miles) and 25.5 hours of driving. As part of Warwick’s year-round commitment to community and charity engagement, later this month they host a raceday dedicated to supporting Warwickshire-based healthcare charity Kissing It Better. On 25th April, Kissing It Better will launch their new regulated teaching programme at the racecourse, making their healthcare expertise available to everyone. As part of racing’s Under 18’s Race Free campaign, those under the age of 18 can go racing for free when attending this fixture with a paying adult. Find out more about the raceday here.